n order to give some coherence to Italy’s plethora of wine regions and appellations we have divided it into five major sections: Piedmont & North-West Italy, North-East Italy, Tuscany, Central Italy, and Southern Italy & Islands. As an aid to orientation, all of Italy’s 20 regions are included within one of the sections below and all of the most important DOCs and DOCGs are summarised. They are covered in greater detail in the individual chapters that follow. The wines of North-West Italy are numerous and diverse. 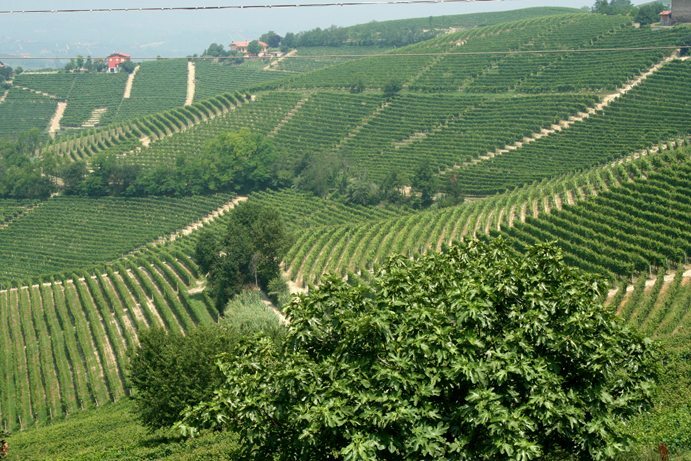 Many of the top reds come from the Langhe hills in Piedmont. These are produced in small quantities as nearly all of the top sites are divided between several growers, in a similar manner to Burgundy. They also command high prices. A wide range of wines from diverse (mostly French) grape varieties come from a handful of good producers, most if not all under the Valle d’Aosta DOC. The wines are little seen beyond the borders of this mountain enclave. The noble Nebbiolo grape provides majestic Barolo and Barbaresco from the Langhe hills but also fine reds in Roero and, rarely, in Ghemme and Gattinara. All are DOCG, including Roero from 2004. Numerous fine examples of Barbera – albeit in diverse styles – emanate from the DOCs of Barbera d’Alba and DOGCs of Barbera d’Asti. Blended Barbera and Nebbiolo appear as Langhe or Monferrato DOC sometimes blended with a proportion of French varieties. Intense Dolcetto appears under the DOGCs of Dolcetto di Dogliani and Dolcetto d’Ovada as well as Dolcetto di Diano d’Alba, and of more varied style and in greater quantities in Dolcetto d’Alba DOC. Among the many other wines, Arneis appears as dry white Roero Arneis, Gavi is another dry white, made from the Cortese grape, and Moscato d’Asti is a fine sweet Muscat. Liguria is known for some occasionally well-made if not widely exported wines, mostly lighter-style reds and whites. DOCs include Cinqueterre (white only), Colli di Luni, Riviera Ligure di Ponente, Golfo di Tigullo and Rossese di Dolceaqua (red only). This region is at last beginning to receive greater international recognition for both quality and diversity in both colours and from native grapes as well as international varieties. The few excellent producers in Trentino make both varietal and blended reds and whites from international varieties, some as Trentino DOC, others IGT. Native varieties include the white Nosiola and the potentially exciting smoky, black-fruited red, Teroldego (as Teroldego Rotaliano). Decent sparkling wine appears as Trento. Much of the quality from the German-speaking South Tirol takes the form of familiar varietals under the Alto Adige DOC, including Chardonnay, Sauvignon, Gewürztraminer, Pinot Bianco, Pinot Grigio, Pinot Nero, Cabernet Sauvignon and Merlot, as well as a recent blaze of quality from the native Lagrein. High altitude and sometimes seemingly impossibly sited vineyards increasingly give high quality and expressive interpretations that are not emulated anywhere else. Valpolicella and Amarone/Recioto di Valpolicella are the stars of the Veneto, with very good examples now proliferating. Soave (now DOCG for Superiore) from a top producer is of a different order too. With better purity and concentration there are now many mineral and herb infused examples that illustrate the potential of the native Garganega grapes from volcanic derived soils. Fine sweet Recioto di Soave DOCG can now be sleek and fruit intense in contrast to the once commonplace more raisined efforts. Bardolino was always overrated (despite being DOCG for Superiore) but there are outcrops of good quality, both red and white, in Breganze, Colli Berici and Colli Euganei DOCs as well as some attractive fizz in Prosecco. (Now DOCG for Colli Euganei Fior d’Arancia and Asolo Prosecco). White Lugana and decent red and white Garda DOC wines come from vineyards close by Lake Garda. More of Italy’s fine whites come from Friuli than anywhere else but there are increasing amounts of fine reds too. Whether varietal or blended most quality wines will bear one of three DOCs: Collio, Colli Orientali del Friuli or Friuli Isonzo. Of the international varieties, Chardonnay, Sauvignon, Pinot Grigio, Pinot Bianco, Cabernet Sauvignon and Merlot predominate. Native whites, Tocai Friulano, Ribolla Gialla, Malvasia can be very good while the best native reds, Schioppettino and Pignolo, must be tried. Wines from the DOCs of Friuli Grave, Friuli Latisana or Friuli Aquileia are typically more everyday. The province of Udine now boasts of three DOGCs, Ramandolo, Picolit and Rosazzo. The sheer volume of fine wine from Tuscany is remarkable. Much of it derives from Sangiovese, though the extent of its Tuscan character can sometimes be enhanced by the inclusion of other natives such as Canaiolo or Colorino or (in some instances only) compromised by Merlot, Cabernet Sauvignon, Syrah and other interlopers. These international varieties are very successful in their own right, often as varietal examples. The classic appellations (all DOCG) include Carmignano, Chianti (often appended with a sub-zone name such as Colli Fiorentini or Colli Senesi – the best being Rufina), Chianti Classico (Tuscany’s heart), Brunello di Montalcino (for the biggest, most powerful pure Sangiovese) and Vino Nobile di Montepulciano. 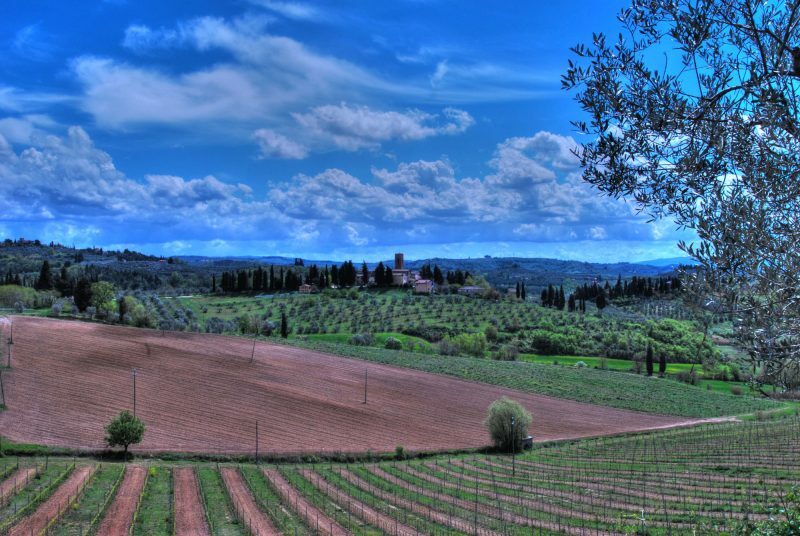 The best-known white appellation is Vernaccia di San Gimignano. DOGCs, (Montecucco, Suvereto, Val di Cornia and Morellino di Scansano) as well as DOCs or sub-zones (Montecarlo, Colline Lucchesi, Colline Pisane, Montescudaio, and Bolgheri) are found close to the Tuscan coast and southern Maremma. Like in the classic appellations, many fine wines are sold as simply IGT Toscana. Too often ignored by the wine drinker only familiar with Tuscany and Piedmont. Shame! because there’s a mushrooming number of good producers and some real originals. Viticulturally, there are two halves to this region too. By far the best reds are Sangiovese from the new (since 2010) Romagna DOC appellation – a very serious alternative to Sangiovese from Tuscany – or IGT equivalents from the best producers and the local white, Albana di Romagna, has just been granted DOGC status in all aspects from dry to liqueureux. To be sure, Emilia has fabulous ham, cheese and other food products but generally only adequate whites and reds from hillside slopes (colli), most notably in the Colli Piacentini DOCs and Colli Bolognesi DOGCs. Bologna’s hills latter can provide good Barbera and Cabernet Sauvignon especially from dedicated small growers. In Piacenza’s hills Barbera is combined with Bonarda in Gutturnio which can be characterful and ageworthy. Emilia is also home of the ‘dreaded’ Lambrusco but a few worthy exceptions to the bulk of industrial swill do exist. Marche is for dry white Verdicchio (either Verdicchio dei Castelli di Jesi or Verdicchio di Matelica DOGCs), some of it very good, but also for other more everyday dry whites such as Falerio dei Colli Ascolani DOC. Here as in Abruzzo well-structured whites from the native Pecorino are also gaining ground. The best reds are based on Montepulciano and have improved hugely in the past decade. Many of the best are now sold as IGTs, sometimes including a significant percentage of other varieties. Rosso Conero DOC (Riservas are DOGC) is still the best known name for Montepulciano-based reds but at least as many good examples of Rosso Piceno Superiore DOC are now made from a delimited southern zone. Straight Rosso Piceno will, however, usually turn out to be a cheap, simple quaffer at best. Other IGT reds based on Sangiovese or imported varieties can also offer both quality and value. There are lots of interesting reds and whites to be found in Umbria. Good Montefalco Rosso should be tried as should the more demanding Montefalco Sagrantino DOCG. A new wave of better balanced examples of this powerful, spicy red are now emerging. A raft of other excellent reds, sold as IGT Umbria, are usually based on Cabernet Sauvignon, Merlot or Sangiovese. Some are very good indeed. Orvieto (a DOC which also covers part of Lazio) when made by a good producer offers personality without heaviness. Lazio has football and Frascati. I’d argue that more of the latter is now clean and characterful. Some other good dry whites are made too as are much improved reds, even if many of them come from Merlot, Cabernet or Syrah. However there is more! Seek out the best of a wave of new varietal Cesanese (del Piglio) DOGC reds and you will be tasting the first examples of a potentially high quality and original Lazio wine. Source of many of the best examples of the Montepulciano grape, especially as Montepulciano d’Abruzzo DOC (DOCG in the Colline Teramane). Cheaper versions are good gutsy quaffers but an increasing number of good producers make examples that are powerful, fleshy, flavoursome and ageworthy. The very best are world class. The main white appellation is Trebbiano d’Abruzzo DOC. While most wines based on the Trebbiano grape are dull, from a handful of producers the local clones can given remarkably complex, richly textured whites. Some adequate examples of Chardonnay are produced as IGTs. Increasingly a cornucopia of vinous delights, especially for reds and whites but also for sweet and fortified wines. Aglianico is the star, as Taurasi DOCG but also in Aglianico del Taburno, Falerno del Massico, Sannio DOCs and various IGTs. Excellent, mostly dry whites come from native grapes Greco, Fiano and Falanghina as Greco di Tufo, Fiano di Avellino (both DOCG) and Sannio and Taburno DOCs for Falanghina. Basilicata has more fine Aglianico, nearly all of it labelled Aglianico del Vulture DOC. (Superiore is DOGC.) Once rustic and firm there are now many good examples both in more forward supple styles and concentrated and complex versions for keeping that again show the nobility of Aglianico. Calabria too has some exciting reds produced by a mere handful of quality producers. Most derive much of their character and quality from the native Galioppo grape. Negroamaro and Primitivo provide many of the best Puglian reds, many of them sold as IGTs but Salice Salentino, Brindisi and Primitivo di Manduria are leading DOCs, with Primitiva di Manduria Dolce Naturale classified as DOGC. Further reds come from Montepulciano and Uva di Troia, some under Castel del Monte DOGC, where elevation can add more than a touch of elegance. There are also decent scented dry whites, including some unexpectedly good Chardonnay and some of the best rosés in Italy – again much is sold as IGT. Ever-burgeoning quantities of quality reds and whites are nearly all sold as IGT Sicilia, but there are now a few more DOCs of note. Leading native varieties Nero d’Avola and Nerello Mascalese compete with imports such as Cabernet Sauvignon, Merlot and Syrah. Most significant is the only DOGC, Cerasuolo di Vittoria and the DOC Etna for reds, and Moscato di Pantelleria and Passito di Pantelleria for often delicious sweet Muscat. 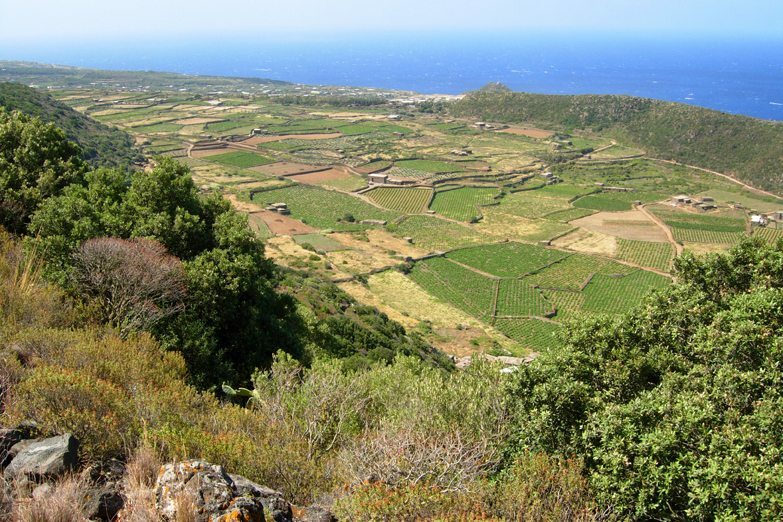 The true potential of Sardinia remains largely untapped but there are already good dry whites from Vermentino, as Vermentino di Sardegna DOC and Vermentino di Gallura DOCG. Increasingly fine reds are from Cannonau or Carignano, as Cannonau di Sardegna and Carignano del Sulcis DOCs respectively or from several IGTs.